On 01-10-19 at about 3:35 p.m., Hernando County Sheriff’s deputies responded to 16308 Flight Path Drive in Brooksville in reference to a death investigation. The Medical Examiner’s Office in Leesburg responded to the Brooksville-Tampa Bay Regional Airport to remove the body from the scene. BROOKSVILLE — The Federal Aviation Authority, hit by the ongoing government shutdown, said it has not decided whether it will be investigating the death of a Hudson man who was struck a spinning helicopter blade Thursday at the Brooksville-Tampa Bay Regional Airport. Efforts to reach federal agencies that typically would look into an aviation fatality — the Federal Aviation Administration and the National Transportation Safety Board — were met Friday with automated messages about the shutdown. But one FAA spokesman reached by the Tampa Bay Times, assistant communications administrator Gregory Martin, said it was “undetermined at this time” whether the agency will investigate. According to Federal Aviation Administration records, the victim — 62-year-old Salvatore Disi — held an airline transport pilot certification issued in February 2018. He was certified to pilot multi-engine airline planes and commercial helicopters and had a drone pilot certification. In 2002, he was certified as a flight instructor for single- and multi-engine planes. He also was certified in 2010 to fly drones as an advanced ground instructor. Disi died Thursday afternoon at the Brooksville airport when a helicopter blade struck him in the head, killing him instantly, according to the Hernando County Sheriff's Office. The incident was reported at about 3:35 p.m. near the airport's hangars. 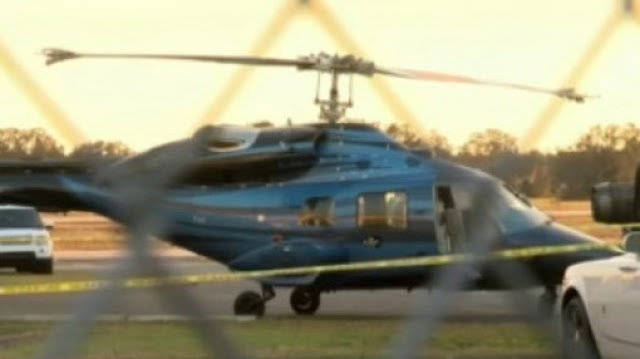 Disi and another man had been working on the Bell 230, according to federal records. Deputies said the helicopter is owned by Dr. Alfred Bonati, chief orthopedic surgeon and founder of The Bonati Spine Institute in Hudson. Hernando County Sheriff Al Nienhuis said in a Facebook post Thursday that Disi had been an acquaintance of his family for years. "He was a good man. This is so tragic,” Nienhuis said. Several others wrote on Facebook of their experiences with Disi, recounting his gentle nature as a flight instructor. The sheriff said Thursday his agency had notified the Federal Aviation Administration and the National Transportation Safety Board. The federal shutdown also was blamed when the Transportation Safety Board failed to send investigators to the scene of a fiery crash Jan. 3 on Interstate 75 north of Gainesville. Seven people were killed in the crash, including five children headed from Louisiana to Disney World in a church van. 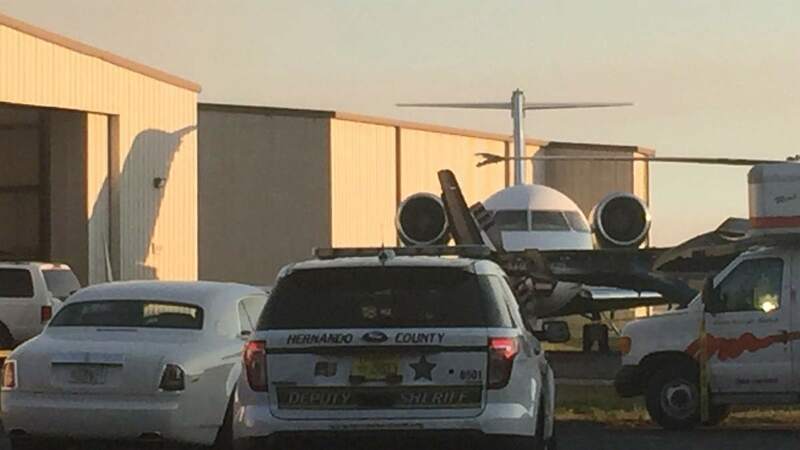 SPRING HILL, Fla. (WFLA) - Hernando County deputies were called to Tampa Bay Regional Airport with news of a horrific accident involving Salvatore Disi on Thursday. Disi had been working on a helicopter when it suddenly jerked up and then came down, striking him in the head and killing him instantly. Disi was a long time friend of prominent Tampa surgeon Dr. Alfred Bonati. "Sal was not a friend. Sal was family. What happened to him, I can not find the explanation," said Dr. Bonati. Disi flew the helicopter for Dr. Bonati and also piloted his plane and captained his boat. "He was an incredible professional. He was a pilot that you could trust your life to totally in any circumstance," said Bonati. The Hernando County Sheriff's Office responded to the accident, it is unclear if the National Transportation Safety Board has taken over the investigation due to the shutdown of the federal government. Dr. Bonati says he is having trouble processing what happened. "What happened yesterday, I have no explanation. I can not believe it," said Bonati. Helicopters don't just jump up and down while being huffer cart started. Someone had to have been at the controls on the collective. Tragic. I won't go into any details, but I've seen this happen with a US Navy chopper landing on a ship in pitching seas.